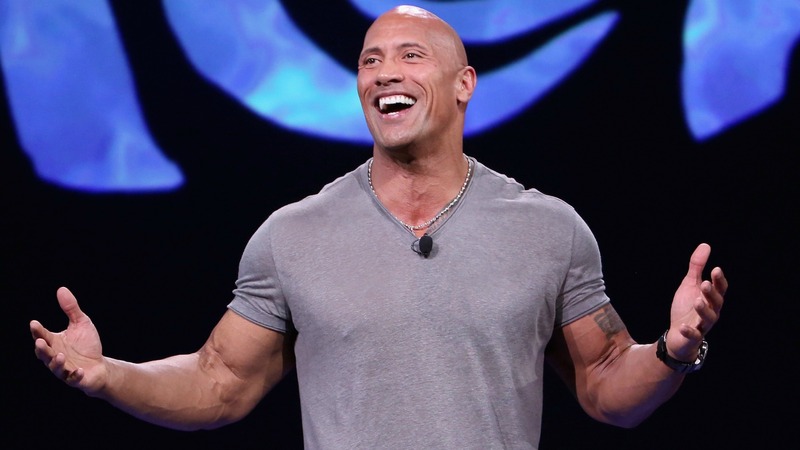 One of the undoubtedly many perks of having Dwayne Johnson for a dad? Swim lessons from Maui himself! The Rock’s daughter Jasmine, 2, enjoyed a special one-on-one swimming lesson with him over the weekend, and the little girl had some comical feedback for her dad. On Saturday, Johnson shared a sweet snapshot of himself holding Jasmine afloat in a pool (we’d be lying if we said we weren’t at least a little jealous). “Great to recharge the batteries this weekend, back home with all my girls and teaching this lil’ tornado how to swim,” Johnson captioned the cute pic. Go on and laugh; it’s OK. You’ll be laughing with him, not at him. All funny business aside, it’s nice to see Johnson slow down for some well-deserved leisure time. Sometimes hailed as the hardest working man in Hollywood, the actor has stayed busy this summer promoting his latest blockbuster, Skyscraper. He also has an astonishing 11 movies in various stages of production. If you ask Johnson, though, it’s his family that propels his career. “When Simone was born, I remember looking at her and saying, ‘I’m gonna take care of you for the rest of my life,’” he told People in 2017. Those swimming lessons? Sign us up.